Welcome friends! It’s been a very long time since I have shared a home tour. Back in the day I had a new home tour up on the blog every Friday. After two years, basically when I ran out of people to ask, I stopped hosting the tours. Today is special, and even more special for several reasons. 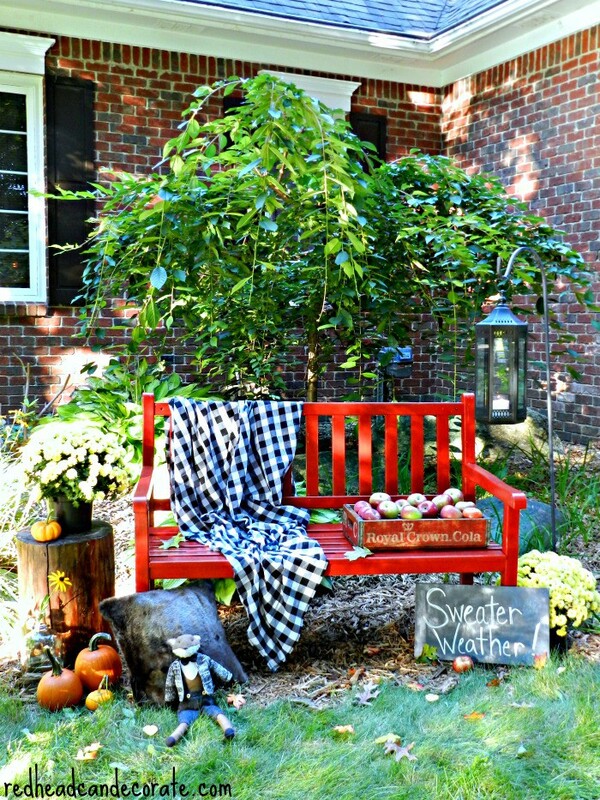 One Julie from Redhead can decorate is a blogging friend of mine. Turns out her and I are both from the WNY region. That in itself is an instant connection only a Buffalonian would understand. Julie and I are actually going to get to meet one another in November. Both our kids are in the band and there happens to be a huge band competition in Indianapolis this year. We both will be there. I can’t wait. 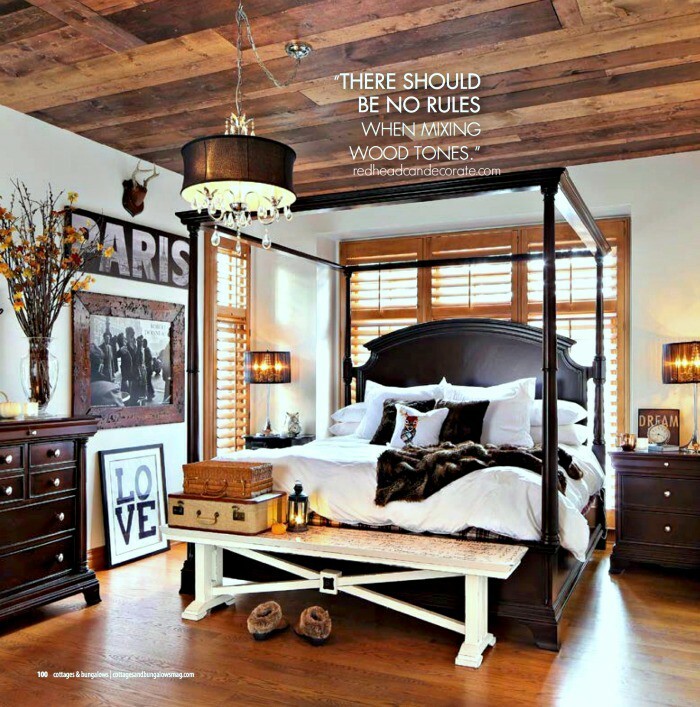 The other special aspect of this cozy rustic Michigan home tour is, that it was recently featured in a 12 page magazine spread, Cottage and Bungalows. WOWZA!~ you go Julie. 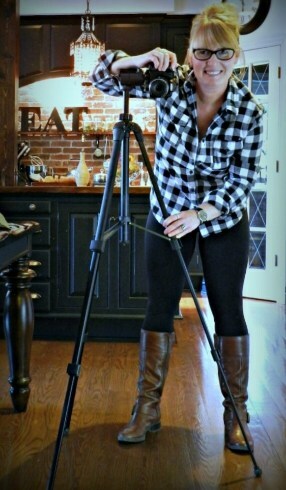 You will see a lot of budget friendly ideas that Julie and her husband do themselves. Her husband is extremely hands on and it seems if red wants something done, Mr. gets er done, usually as a team. The duo make quite a team I tell you. Enjoy. If you do not know Julie, please do pay her a visit. She is one heck of a cook too, oh and she does some super cute crafts as well. She’s the whole package. Julie is a feisty, but rather shy redhead from New York, who moved to the Midwest to follow her dreams (and the love of her life). 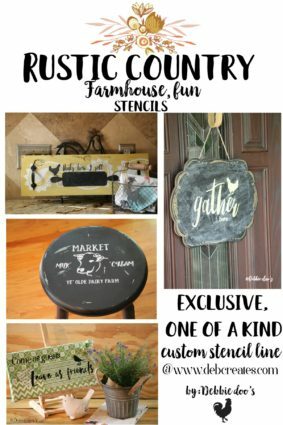 Julie is passionate about decorating her home with her own unique affordable DIY style which is a mix of eclectic, contemporary, traditional, with a splash of country. She does not follow the crowd. Julie is in full fall mode ahead decorating. She recently made over this bench that was pretty drab and weary before. WOW, this says hello fall. 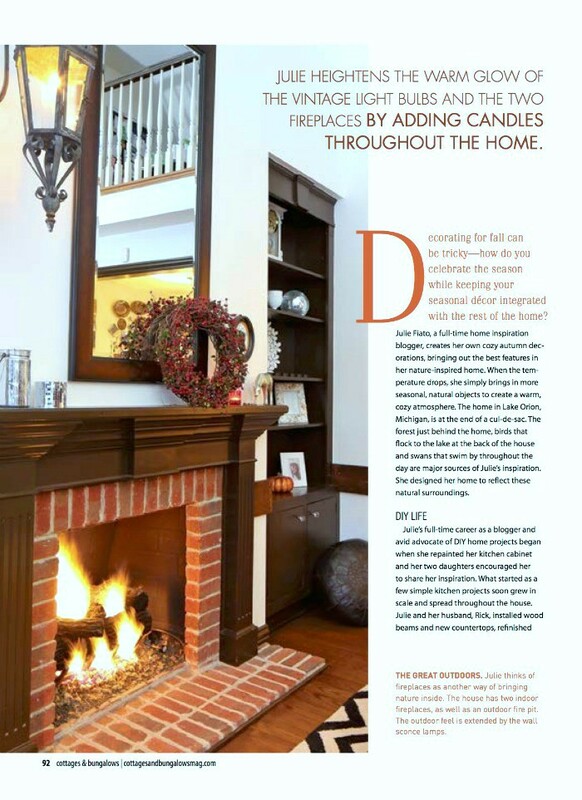 Now a few highlights from her recent Cottage and Bungalows magazine feature. This project here on the ceiling her and hubby did together. I have to admit, I am seriously jealous. Jealous of the project and jealous her husband did this himself. I am sure my husband could tackle it, but the bigger question is, would he. NO! Not this project. Does this dairy market cow stencil look familiar to you? 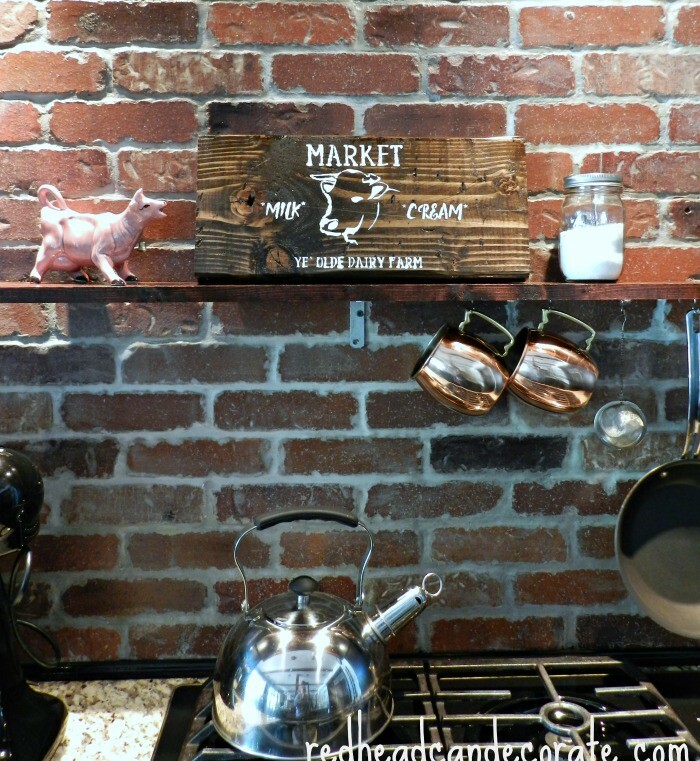 Probably so, Julie just did this fantastic diy rustic sign using my Cow stencil. 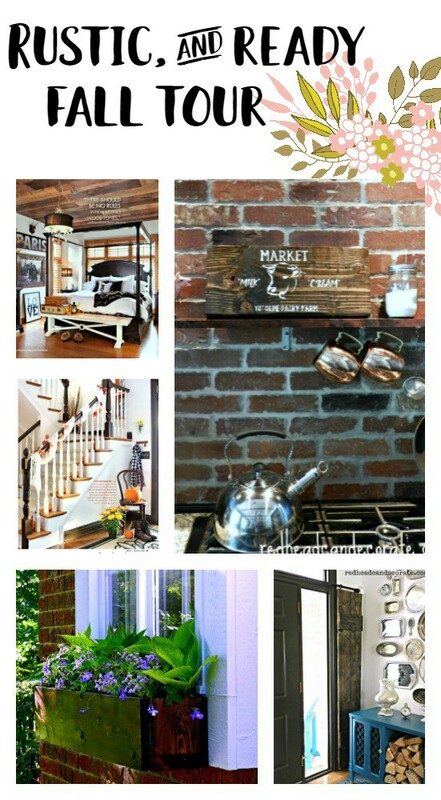 Another gorgeous diy by her and her hubby. 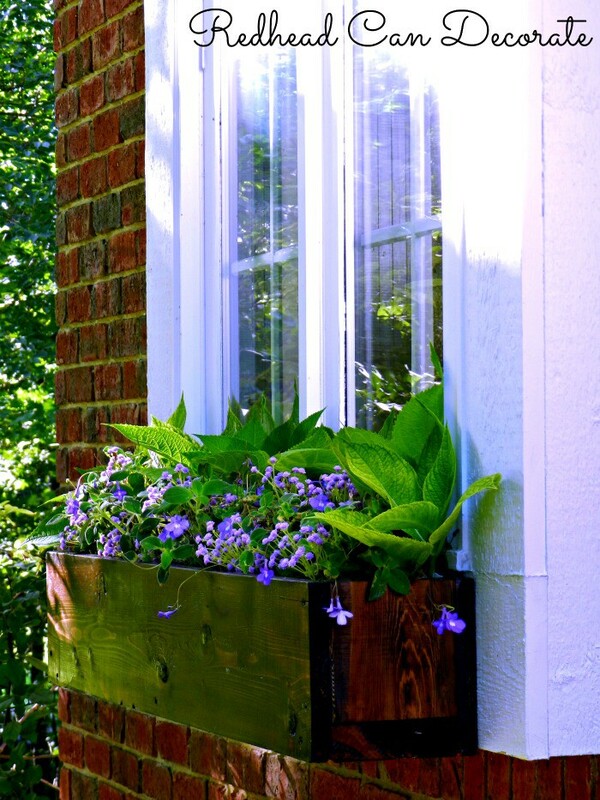 DIY garden window box. Another cool idea. 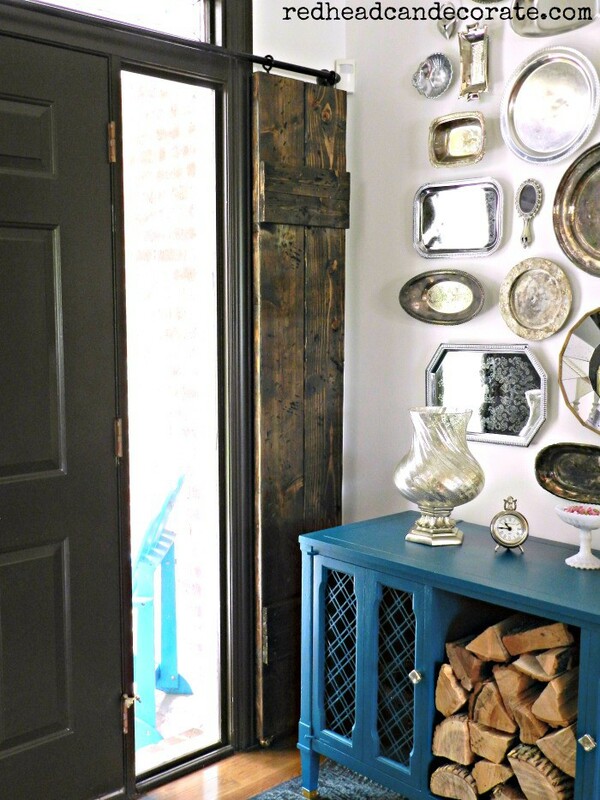 DIY sidelight wood shutters. Their home is surely filled with love, vintage decor, warmth of all the beautiful variations of wood tones with a dash of unexpected color here and there. I really do not want to share much more because I think it’s worth your time right now to go pay Julie from Redhead can decorate a visit. You will be happy you did. Beautiful!! I wonder where this home is in Mich as I am a Michigander!! I know she is on the lake somewhere Jeanie! 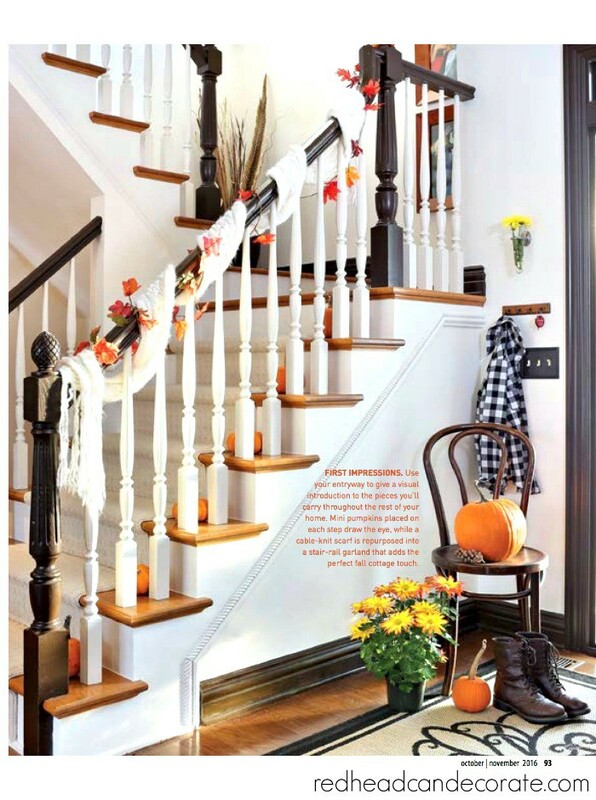 Thank you so much for the home tour feature, Debbie! I wish my house looked like that right now, lol!